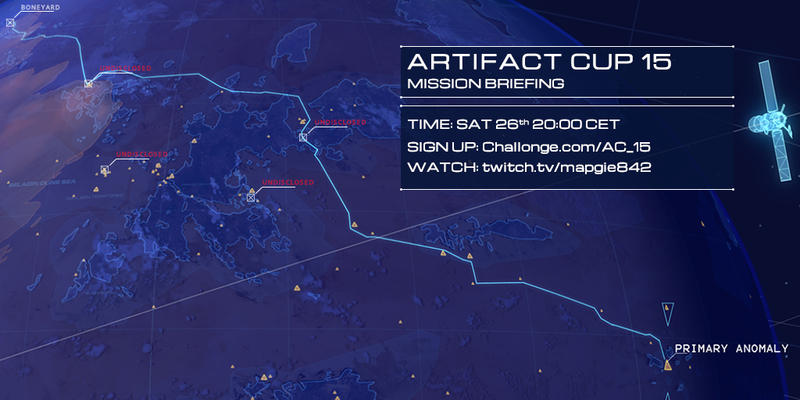 We are on our 15th edition of the Artifact Cup! It happens every 15 days, on the Saturdays, currently being held at 20:00 CET! Series size: Best of Three till the semifinals, Finals are Bo5. Map pool: Kalash Teeth , Torin Crater , The Boneyard , Firebase Kriil , The Shallows , Gaalsien Territories  and Canyon Outpost . Map veto order: ABAB ABC for Best of 3, AB ABABC for Best of 5.